This category is a play on words, it’s called “Freedays book” because on Fridays I will publish a new article writing about a book which can be read for free. The Internet is a nice tool which allows us to communicate. Some authors use this source as a way to share their books. And some do it for free, allowing us to download them on the internet. I will talk about the books giving my honest opinion about them. Maybe you want to read a book and you don’t have the money to buy it? or maybe you prefer to read the book and in case you liked it you wouldn’t mind making a donation? 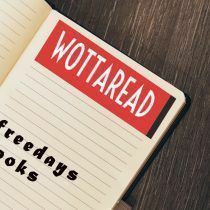 Ey Wottareaders, It’s Friday again, woohoo! Do you know what that means? It’s Freeday book! If you don’ know what to read next, why not download a free ebook and see if you love it? This Freeday suggestion is: The Defender of Rebel Falls. An e-book you can download for free on Amazon’s website, link in the next section. The Defender of Rebel Falls is the first volume of The William Whitehall Adventures written by the Canadian Erik Christensen’s. This is a science fiction series with a different and interesting approach. As the name of the saga suggests, this series is about the adventures of William Whitehall, a seventeen-year-old man. This boy is neither a knight nor a powerful wizard, actually, his job does not fit a hero at all. He is just a librarian. But since when our job defines our true power? William’s fate changes after meeting a nobleman who will entrust him an important mission: saving his kingdom. As I mentioned earlier, this series has an interesting approach. before the story begins the author states that this adventure story is inspired by fantasy and medieval styles but in a scientific manner. 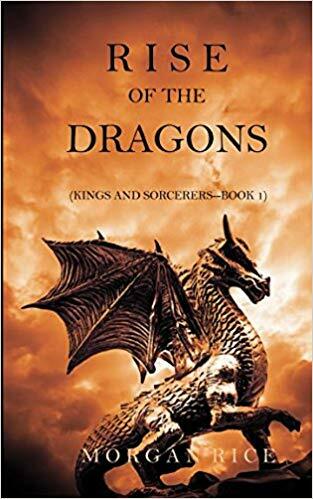 This story has a different premise, dragons exists, but they don’t dwell in caves protecting treasures but, instead, they live in another world. If you are thrilled about this tale and you want to read it right now, just click here to get this free ebook on Amazon’s site. Any other free ebooks by the same writer? The second volume in the series, The Skyrider of Renegade Point, was recently published (not even a month ago) and you can purchase it on Amazon. This book is not free though, but you can purchase it at a reasonable price. if you liked the first book the second one is a must. As previously mentioned in Rise of the Dragons Freeday, it is quite common that authors let you download their first volume of a series for free so you get to know their stories. If you loved Erik Christensen’s writing, you might want to check his stand-alone novel set in the same universe: The Smugglers of Tighpool. This novel is a collection of short stories that also happen in Esper which you can download for free too. See? Not one, but two free ebooks to get online for free. In order to get this free ebook, you will have to sign up to the author’s blog website, your choice here of course! Don’t be sad if you don’t have a Kindle, you can easily convert the Kindle Mobi format into others that might work on your eReader such as epub, how? just search Google, and you will find the answer. It’s really easy to convert these files, just one click. So get your Kindle ready, download this book for free on Amazon’s website, and join the adventures of William Whitehall! Two ebooks for free! happy uh? Feel like reading a short story? What if I told you can download this tale for free? Or, even better, what if that story was written by Stephen King? Sounds good, isn’t it? Laurie is a short story written by one of the best horror novelist ever, Stephen King. However, Laurie is not a horror story, not at all, but instead, it is a charming and relaxing tale. This book by the prolific author of Maine develops a plot that talks about the loss of those we love, it is a story about hope and life in general. True to his style, Stephen King creates a story that traps us, making us turning pages like crazy, a story that will not leave you indifferent. After reading it we will feel that we have learned something, while we have traveled through one of those fantastic worlds that only Stephen King can create. This story introduces Lloyd, a man who recently lost his wife. One day, her sister visits Lloyd to Florida and gives him an unexpected gift. He receives an adorable and touching dog, a mixed breed puppy half Border Collie half Mudi, named Laurie. While Lloyd rejects his new pet at first, since he can’t even take care of himself due to his depression, Laurie will gradually get into Lloyd’s life to change it completely. However, as comforting as Lloyd’s life is after his sister’s gift to him, everything changes unexpectedly when a certain event takes place in both their lives. The monotonous and peaceful life of peaceful meals and long walks on the beach is cut short by this new situation they did not expect. This short tale takes place in the real world, it is a story about motivation, hope and moving forward after living tragic events. Despite being only 32 pages long, Stephen King is able to present a beautiful and heartwarming story. This author proves, once again, that he is more than one of the all-time greatest horror writers (as if that was not enough). Where can I download this Stephen King’s book? 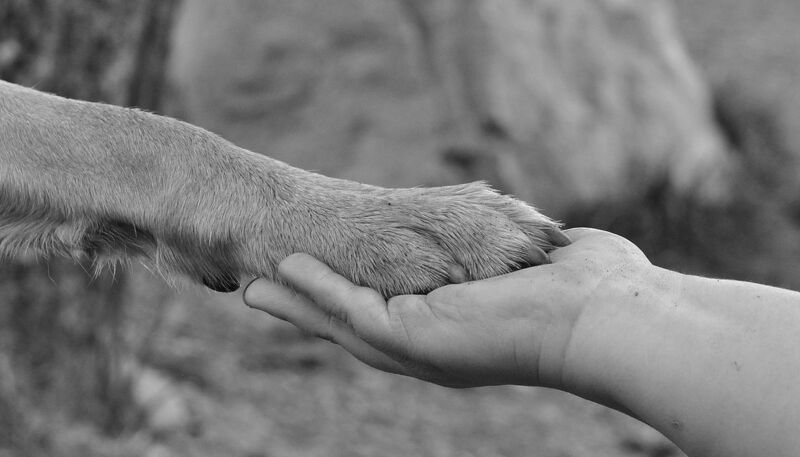 This story was inspired by Vixen, the dog of Stephen King’s wife who passed away last year. This explains the dedication at the end of the book. He posted this info on his Twitter account, on which he constantly proves he is a dog lover uploading fun pictures and comments of his dog Molly, aka the Thing of Evil, (see here). You can download this story on his official website, here you have the link. Stephen King is, no doubt, one of the most recognized authors of horror, science fiction and fantasy of all time. This writer’s influence is not only limited to the field of literature, but the world of cinema has for many years been nourished by his stories to provide viewers with impressive films based on his novels. Some of the examples are It, Pet Sematary (just check this post for this upcoming movie) or The Shawshank Redemption, a cinema masterpiece based on his novel Rita Hayworth and the Redemption of Shawshank. His more than 350 million copies sold worldwide make him one of the most read authors of all time. Eden: Part 1 is a free book we can download online, the first book of a two-part story (being the Eden: Part 2 the second one). The author, J.Sharpe, is from the Netherlands. His work is translated in English, German, Spanish, Portuguese, Italian and even a few are also available in braille. Sharpe is a Dutch author who has written several mystery thrillers and short works. He likes to mix genres in his works and this shows up in this first part of Eden. This book undoubtedly brings a lot to the thriller genre, but also provides interesting brushstrokes of the horror and paranormal genres. This cross-genre works really well, he created his own style but his writing, despite being quite particular and unique, reminds to Stephen King’s prose. The plot of this book revolves around the end of humanity and through its reading, we will be plunging into an exciting story that keeps the reader turning pages. The story sets the main character, Anna Meisner, in a dark room, tied to a chair. In front of her, there is another woman, who looks a lot like her. The woman commits suicide while Anna is found a few days later in a state close to death. Anna wakes up in a hospital where the police consider her suspect of the woman’s death. This is the intense beginning of a story that will undoubtedly make us enjoy this exciting fiction thriller. The book develops a very interesting plot, which brings us closer to discover the world of the angels. A world that in appearance anyone would consider is close to the divine if not the divine itself. A world in there are no mistakes, all pure and perfect. But nevertheless, as J. Sharpe will show us throughout the story that develops in the book, this is not the real appearance these divine creatures have, because in this story angels are not the perfect and pure creatures anyone would attribute to these beings sent by God. The main character has a motivation to continue forward. To solve a lot of enigmas, due to the complicated scenario she has to face, as she is suspected of committing a crime. This book can be found for free on the internet (here) as a way of encouraging the reader to read the entire series consisting of part one and part two (which can be bought on Amazon). As I previously said, the book is available on Amazon and you can download it to read it comfortably in any device (you can download the free Kindle app in their same website). This is a good way to know about this fantastic novel, and if you liked it you can purchase the second volume to keep reading. 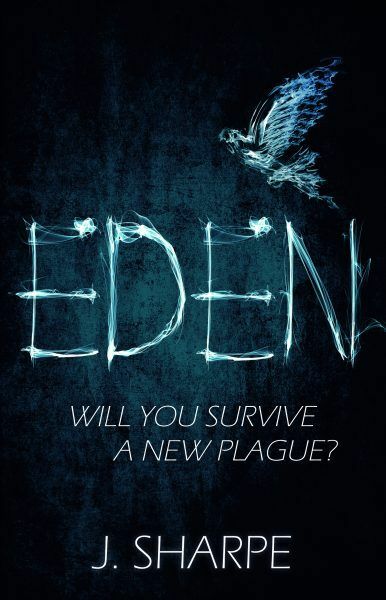 Depending on the Amazon country website you can either find it free or not, so if you liked the book or want to support his work you can actually buy this book instead of downloading it for free, or maybe you can buy Eden: Part 2, of your choice. This thriller that places us in a world that is about to end as we know it, has been nominated for the Bastaard Fantasy Award, an important recognition that places the author in a prominent place. Of all the books we can download for free on the Internet today, this is undoubtedly a fantastic choice for all those lovers of intense stories, who are looking to keep their eyes on the pages of a thriller in some terrifying way. Hope you will like this suggestion, this one is one of those free books to read and enjoy. Keep reading!